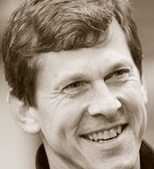 Under his tenure as the Chief Performance Yahoo!, Steve released YSlow and wrote High Performance Web Sites (at one point the #1 selling computer book on Amazon). Now at Google, Steve is working on a new set of best practices for making web sites even faster. In this webcast Steve explains the Performance Golden Rule, reviews his performance best practices, and uses YSlow to analyze the top web sites in the world. Introducing Steve will be Andy Oram, author, blogger, and senior editor for O'Reilly Media. Attendance is limited, so register now. We'll send you a reminder before the webcast. And please feel free to share this invitation with others. Steve works at Google on web performance and open source initiatives. His book High Performance Web Sites explains his best practices for performance along with the research and real-world results behind them. Steve is the creator of YSlow, the performance analysis extension to Firebug. He is also co-chair of Velocity 2008, the first web performance conference sponsored by O'Reilly. He frequently speaks at such conferences as OSCON, Rich Web Experience, Web 2.0 Expo, and The Ajax Experience. In the early 80's Steve caught the Artificial Intelligence bug and worked at a few companies doing research on Machine Learning, including several publications and conference appearances. He received a BS in Systems Engineering from the University of Virginia and a MS in Management Science and Engineering from Stanford University. Steve's interests are varied. He sits on the board of Freehand Systems and Fremont Hills Country Club. He teaches Sunday School at First Lutheran Church in Palo Alto. He's played basketball with several NBA and WNBA players. He was a member of the Universal Studios Internet Task Force. He participated in setting a Guinness world record. He rebuilt a 90-year-old carriage house. He has a wonderful wife and three daughters.